As a result of the industrial, urban and agricultural development in Kuwait and other Gulf countries following the discovery of oil, a variety of chemicals including heavy metals, oil and petroleum-related compounds, and halogenated organics have been introduced into coastal marine sediments. Most of these pollutants enter the aquatic environment from a variety of sources including direct deposition from the atmosphere, runoff from land, and directly from industrial and wastewater treatment plant discharges. ln the northern area of the Kuwait coastline, the Shatt Al-Arab drains a large agricultural, industrial, and urban area bringing with it a variety of chemicals including petroleum hydrocarbons, organochlorine pesticides, and other polyhalogenated organics. This area is also affected by the aftermath of the drainage of the marshes in the Shatt Al Arah delta by the former Iraqi regime. Since this river empties into the northern pan of Kuwait's territorial water, it is expectedthat sediment from this region will contain higher levels of pesticides and other contaminants. 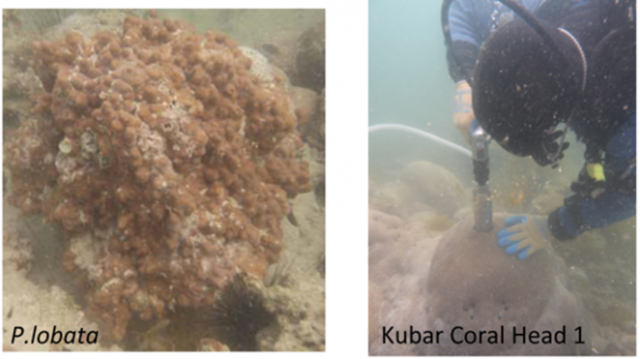 The overall objective of the study is to reconstruct detailed input chronologies of trace metals and organic pollutants in Kuwaiti marine enviromnent using undisturbed sediment cores and corals. The project will accomplish the following goals: (i) establish accurate estimates of sedimentation rate in the marine environment of Kuwait using the radionuclides 210Pb and 137Cs; (ii) determine whether the historical record of properties such as lead isotopes contain unique features that will allow for the more rapid development of ehronologies for the marine sediments of Kuwait (iii) determine sources of pollutants in the sedimentary basin, including aeolian inﬂuences; and (iv) transfer of Pb isotope and seawater trace element skills to Kuwaiti personnel.